My Passions - My seventh grade Learning Journey! I have a lot of things that interests me and hobbies that I like to do on my spare time. I love to do Photography, Graphic Design, Soccer and other sports. With all of these passions it gets really hard to keep up with school but it is all worth it because those things are my favorite things to do. I love to take pictures while traveling, Going to the beach or just family time. When I grow up I want to be a professional photographer. Every time I take a photo It feels like I am stopping time even for just a minute and capturing those precious moments. People might feel that way about some other things but to me it is a tingling sensation that just makes me feel wonderful inside. Every time I take an amazing photo it makes me feel wonderfully proud of myself. Sometimes I get told that I didn't take that photo and that I got it off the internet. First of all Thank you because that means my photos are like a professional photographer, and second that hurts me in a way. I love to design pictures, websites (anything you can think of) because of the time that I love to spend working on this website, I am extraordinarily proud of myself about this website mostly because of like I said I love to spend my spare time instead of watching t.v. to make my website better. 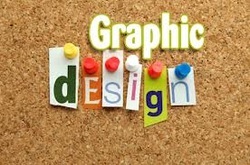 I am also still thinking about it but when I grow up I want to be a graphic designer. Pretty much I want to be both a graphic designer and photographer because I love doing it so much. I have many loves for other sports too. This includes Soccer which is may favorite, volley ball, badminton and basket ball. Last year at school I joined all of these sports except for basket ball because they had tryouts and I didn't make it. I am still in my soccer season and I have an amazing team that is so supportive. At school we just finished our play day which means that we are done school volley ball. Badminton and basket ball have not come up yet but last year for badminton I got picked for play day and we won first place! Yay!